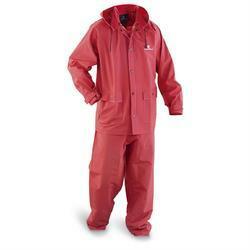 Leading Exporter of rain suit, rain coats, pvc hooded rain suit, plastic rain suit and pvc transparent rain suit from New Delhi. 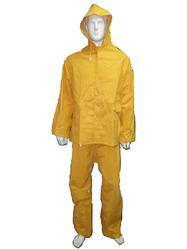 We are prominent name engaged in offering Rain Suit to the clients. Our offered suits are made from supreme grade materials and finely stitched by our expert designers. 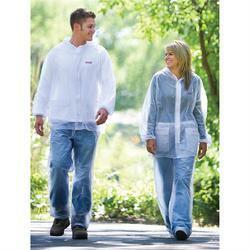 Our offered wears provides utmost protection from rain. It is available with us in various color combinations and sizes as per clients’ specific requirements. "KDR Woollen Industries", established in the year 1961, is known to be one of the leading manufacturers, suppliers and exporters of this commendable range of Woolen Garments and Yarns. The range consisting of Uniform Sweater, Woollen Jacket and Woolen Pullover, PVC Transparent Rain Suit has a high preference in the market. Manufacturing of these done in accordance with the industry set norms and guidelines, using the finest fabric, wool and modern machines, highly standardizes the products. In addition, the offered range is widely asked for, owing to its reasonable pricing. "KDR Woollen Industries", established in the year 1961, is known to be one of the leading manufacturers, suppliers and exporters of this commendable range of Woolen Garments and Yarns. The range consisting of Uniform Sweater, Woollen Jacket and Woolen Pullover, Rain Coats has a high preference in the market. Manufacturing of these done in accordance with the industry set norms and guidelines, using the finest fabric, wool and modern machines, highly standardizes the products. In addition, the offered range is widely asked for, owing to its reasonable pricing. "KDR Woollen Industries", established in the year 1961, is known to be one of the leading manufacturers, suppliers and exporters of this commendable range of Woolen Garments and Yarns. 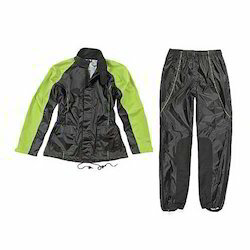 The range consisting of Uniform Sweater, Woollen Jacket and Woolen Pullover, PVC Hooded Rain Suit has a high preference in the market. Manufacturing of these done in accordance with the industry set norms and guidelines, using the finest fabric, wool and modern machines, highly standardizes the products. In addition, the offered range is widely asked for, owing to its reasonable pricing. 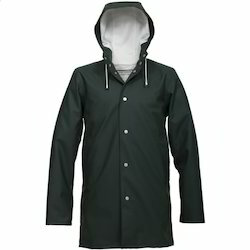 Looking for Rain Suit ?